Feel free to grill the staff for some great container ideas. 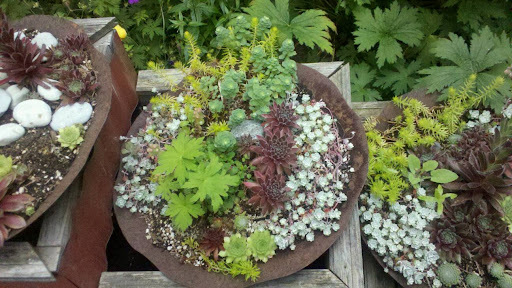 These gorgeous container plantings were in the outdoor sitting area of the Molbak Nursery outside of Seattle. Have Knot garden, will travel. 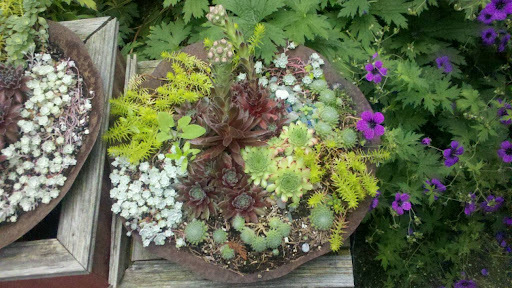 today’s 365 Days of Container Gardening comes from Dragonfly Farms again, with a little of their unique garden art. I was amazed by the variety and unique plant selection they had available and loved their display gardens and containers. 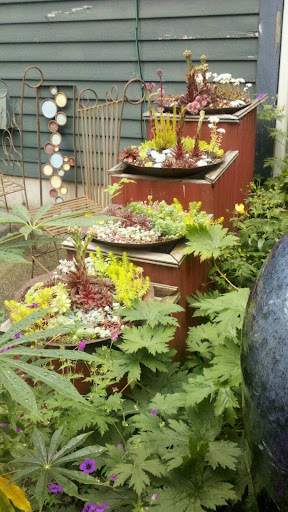 Day 292 – Dragonfly Nursey In Seattle Has Fun With Containers! Cool sedum display was a hidden find on the side of their office. Does your locksmith’s store look like this? 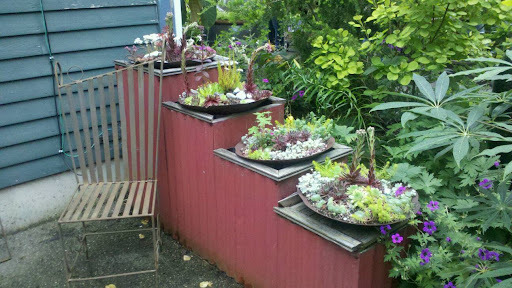 Jody, at Molbaks, is a master of container gardening design!